Both of the images below are multiple images "Stacked" using DSS. Stacking allows us to "see" colours and details that we can't see with the naked eye. 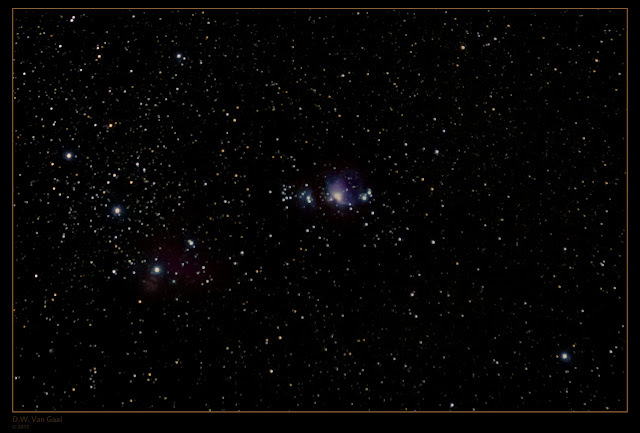 Here is an Image of the area around Orion. It is multiple images that have been "Stacked". 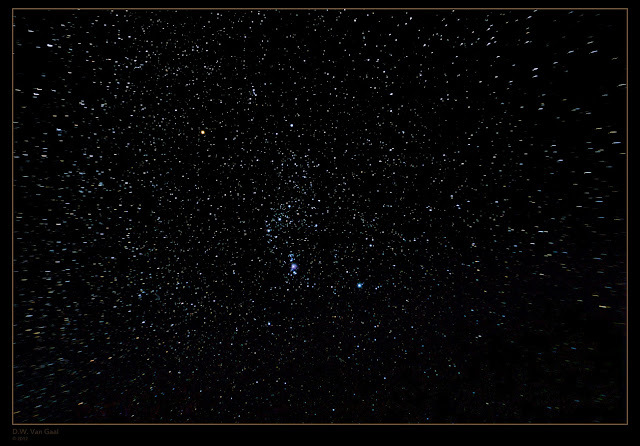 You will notice that the stars are for the most part round, there are no "Star Trails" towards the outer portion of the image. This is an image where a regular tripod was used and no tracking was involved. It is approximately the same amount of exposure as the other image with multiple images stacked. Note as you get towards the outer portions of the photograph that the stars blur and are starting to develop "Star Trails". The reason the second photograph has the trailing is due to the Earth's rotation. A regular tripod does not align with the Earth's Axis so every time you take a photo of the stars (even if you move the tripod head) it will be a tiny bit off axis from where the last photograph was taken. Hence the reason the outer stars don't look correct. There are multiple ways to correct this problem. Most are also very expensive. German Equatorial Mounts are designed to align with the Earth's axis and follow the stars perfectly, unfortunately the starting price for these and other devices that align with the Earth are several hundred dollars. If like many people you don't want to jump right into spending huge dollars on a mount that weighs a ton, and costs a small fortune you can build what is commonly called a Scotch Mount or Barn Door Mount. 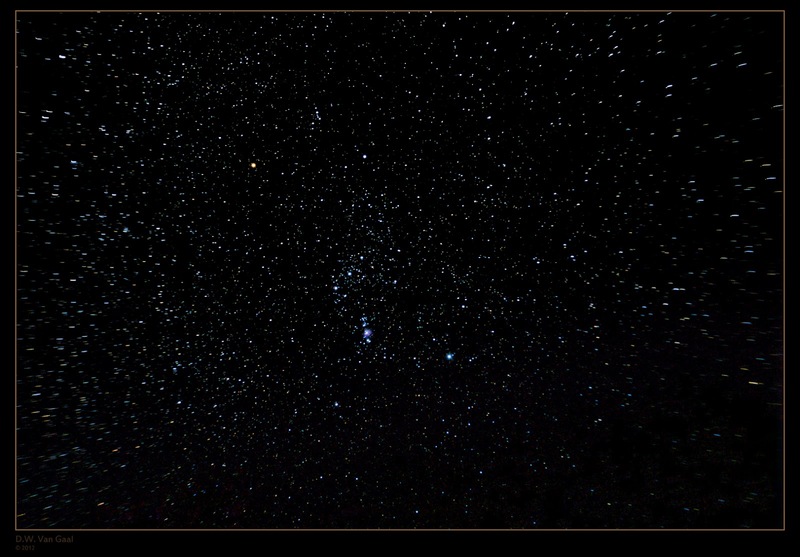 These can be made at home and do a relatively good job at tracking the stars if you are using smaller focal lengths. I have never personally built one, but I have several links that I will post that show you how to build one for yourself. The nice thing is that they can be built for under $50 dollars (usually) and like I said, you can build one yourself. Here are the links to sites that I feel give the best overview and instructions on how to build your own.